Getting your logo right is important because your logo is on the frontline representing your brand. Everyone who sees it will make a judgement (conscious or not) about your business’s identity and level of professionalism. 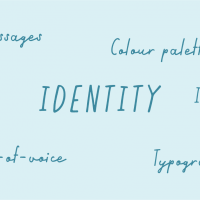 Your logo’s aim is to accurately summarise your business’s identity in just one symbol. No small feat! Add to this the importance of getting the technical aspects right: scalability, flexibility across media and digital platforms, colour matching etc, and you begin to realise how much work is involved in building a ‘good’ logo. 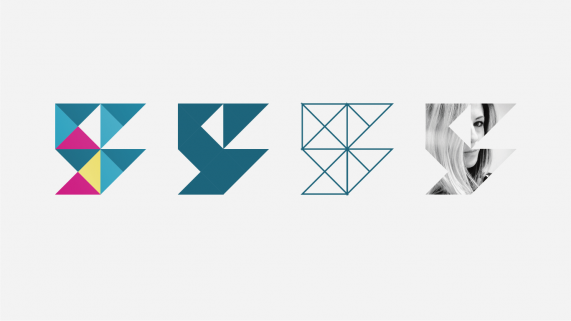 Designing a logo for yourself is tricky territory. Usually, knowledge is power! But logos are all about the process of simplification… so the more information you have to begin with, the more you need to cut out. It also involves stepping outside of yourself and viewing your person (and business) with alien eyes. This can be easier said than done. As with all my designs, I began sketching out and throwing together lots of different ideas for my logo. You can see a selection of the discarded below. Some of the initial ideas had favourable elements, but all of them failed to deliver the whole package: identity, usability and flexibility. Once a ‘good’ logo is defined, the style and values embedded within it can be extended out across all your visual media to cement your visual identity. I am currently experimenting with how I can use elements of my logo across other visual material, such as business cards, my website and social media pages/posts to enhance my brand and make it more recognisable. Vector lover, colour addict, doodler. You can hire me for your creative project.